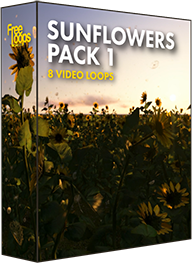 A sequence of shots with sunflowers, zooming out and flying over the fields. Great yellow flowers. This video loop would work perfectly on your big screens, certainly a visual to add to your footage library.